Welcome to Bare Down There Waxing! We provide full body waxing, specializing in Bikini and Brazilian Waxing Hair Removal Services in Downtown Vancouver, WA. We use the highest quality products for your health and safety. We are here to provide you with the wax we want for ourselves. We take our profession very seriously. We think it’s important to use excellent products and be thorough in our practice. We will always make the time to do the job right, this is our promise to you. 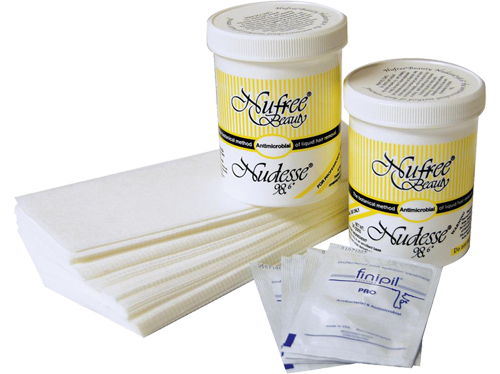 Nufree is the gold standard in hair removal. Here are just a few of the reasons why Nufree is the most effective hair removal treatment in the world. • Nufree is NOT A WAX and never sticks to the skin. • Nufree is self-preserving antibacterial/ antimicrobial so it’s safe, clean and germ free. • Nufree is completely BOTANICAL and safe for the entire body. • Nufree is scientifically tested and uses no animal products.